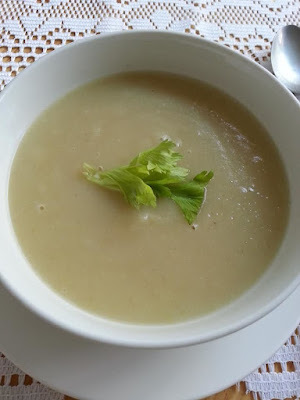 This is a non-dairy soup that is low in calories and fat. It's simple to make and extremely delicious. Enjoy with crusty bread rolls, if desired. Saute onion and potato for 3 minutes or until the onion has turned translucent. Pour in chicken stock and bring to the boil. Bring back the boil and lower the heat.